Joseph Nusbaum graduated from the University of Maryland Pharmacy School in 1975 and has been and independent store owner since 1986. 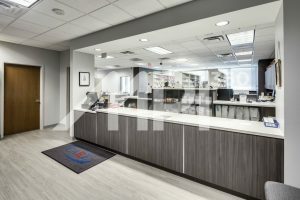 Ambulatory Care Pharmacy is the largest and most experienced fertility pharmacy in the Washington Metropolitan area, boasting the largest inventory of fertility medications. Ambulatory Care Pharmacy offers 24 hour emergency fertility medicine services and UPS shipping for fertility medications delivered Monday through Friday. ACP offers free needles and syringes to the fertility patients in customized packaging for easier use, and they participate in most insurance plans. Specialties include Infertility and Pain Management.